Necessity is the mother of invention best describes the rise of straw bale gardening. Those with a penchant for growing plants, fruits and vegetables are sometimes stymied by circumstances: not enough land or poor soil quality. 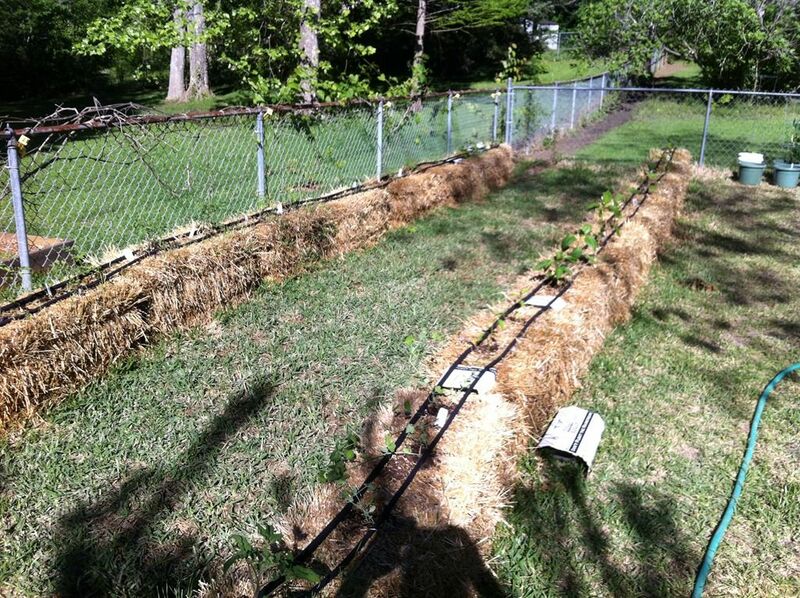 Straw bale gardening bypasses these – and several other – obstacles. Although this technique may be enjoying a period of re-discovery, it actually goes way back and far away. In fact, the use of straw bales is an innovation that keeps on giving, provided the gardener understands its working principles and best methods to produce healthy plants. Straw and hay are not the same things, though they might be hard to distinguish with the naked eye. Hay is primarily forage for livestock; it is grown for that purpose, and is cut prior to the plant bearing any grain. Straw, on the other hand, is what is left over from a crop after the grain is harvested. Although hay is nutritious for animals, it contains weed seeds and other elements that inhibit the growth of flowers, fruits and vegetables. Straw is clean of such threats, and is not as dense as hay, allowing for free and easy development. The success of your straw bale gardening enterprise has everything to do with where you place the bales. Yes, bales can be moved but they can weigh in excess of 150 pounds after water saturation so finding them a semi-permanent home is advised. If placed outside, the bales should have adequate access to sunlight, getting around six to eight hours of direct exposure. Putting cloth or newspaper under outdoor bales protects the plants from invasive weeds. Bales stationed in sunrooms or apartments require a cushion of space, especially if the plants produce vines. Indoors or out, bales are positioned with cut end up. Meant here is the process of turning the inner straw into compost. This calls for approximately a week and a half of soaking and fertilization. Watering must be daily, saturating the bale. Adding fertilizer (preferably three cups of organic) is a task for every other day, with generous watering as a follow-up. After a week, you can fertilize every day, but cut the amount to 1.5 cups. On the final day (around the 10th day), add three cups supplemented with potassium and phosphorus. To confirm that the bale is properly conditioned, reach deep inside and feel for heat and moisture. If both are present, you are ready to begin straw bale gardening. Once cooled, bales are good for planting. Using a trowel, create a modest hole at the top of the bale, pour in some soil-less planting mix and insert the seedlings into the hole. The planting mix is there to insulate any exposed roots. If you are growing plants from seeds, coat the surface of the bale with the planting mix and scatter the seeds into the mix. Once sprouted, their roots will descend into the bale. While the top surface serves as the main interface with the bale, you can grow flowers or herbs on the sides to gain maximum use of the bale as a medium. If straw bale gardening is an alternative to soil, why use soil to get the plants started? Good question. Many planting/potting mixes contain peat, pine bark and perlite, to name a few of their elements. Unlike soil, none of these components channels nutrition to the plants. On that fact alone, a gardener might assume soil is preferable as a growing catalyst. However, non-soils are less prone to compacting and less apt to dry out. In addition, these substances allow plenty of room for the flower, fruit or vegetable to take root and to receive the needed water and oxygen. In short, going soil-less is a net gain. Consistent watering is essential throughout the growing season when straw bale gardening. Bales process moisture rapidly and need replenishment early and often. Timed drip systems, soaker hoses, sprayers or simple hand-watering are each satisfactory methods, though the drip is probably the least labor-intensive. Different plants, of course, thirst for different amounts. Since roots draw no nutrients from the straw, they benefit from continued fertilizing. While weeds and pests are fewer and far between with straw bale gardening, they are not absent. Regular monitoring of plants is a wise, proactive caution. Pre-mature yellowing of leaves can indicate a deficiency of nitrogen. Since the microbes in the compost use nitrogen to decompose the bale, more of this element may be needed as growing proceeds. Likewise, a purple hue on the leaves signals a lack of phosphorus while brown edges demonstrate a hunger for potassium. Check your plant’s nutrient specifications against the general needs of the bale. Growing vegetables in straw bales outside in the winter months is definitely doable with the appropriate structures. One alternative is to set up a shelter encasing a wooden frame with tough, durable greenhouse plastic made of polyethylene, polyvinyl or polycarbonate. Another option is to cover the bales with a poly tunnel, made with these same materials and purchased at most nurseries and garden centers. These will protect against snow and frost. It must be acknowledged that straw bale gardening requires some degree of vigilance and attention. That granted, this form of cultivation can be done almost anywhere at reasonable cost. It is also a strong testament to human ingenuity. Participating in it brings greater appreciation for nature and humanity. 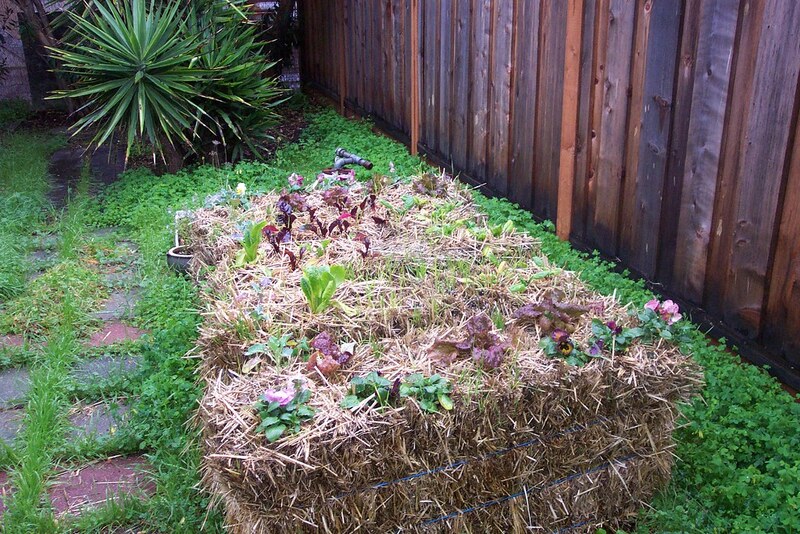 Hey Buddy!, I found this information for you: "Your Guide to Straw Bale Gardening: Instructions and Tips". Here is the website link: https://backtofarm.com/straw-bale-gardening/. Thank you.